Today was the final day for people to enter comments on the proposed AT&T/T-Mobile merger, and Sprint went out with a bang. 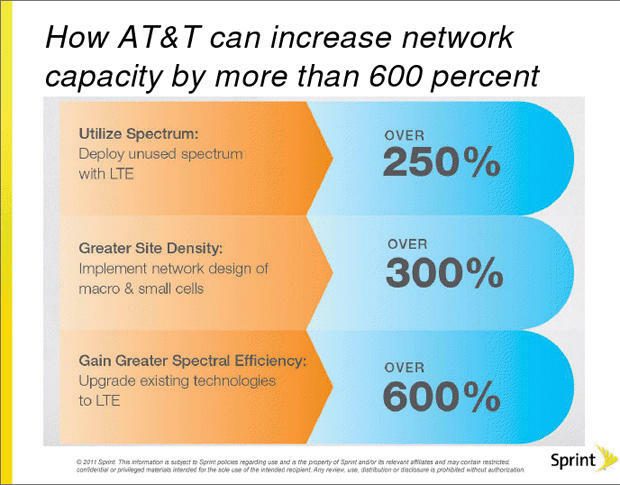 Currently sitting in my inbox is a 299 page filing the carrier submitted to the FCC (Federal Communications Commission) about how AT&T could increase its capacity by 600 percent by 2015. As they said in their cover email, this is a detailed technical analysis of how this could be accomplished without purchasing T-Mobile which they strongly feel is not in the public interest. Sure you could read the entire PDF and possibly question your own sanity when you completed it … or you could look at the image they sent along that summed up the entire thing. I started reading the full tome, and have to admit they lost me fairly quickly. It was not a page turner to say the least. T-Mobile followed up not long after with a short email stating their side of the argument. While I admit I didn’t make it through the entire 299 pages, what I did read did not strike me as an opponent of this merger with their head stuck in the sand about a spectrum crisis. What I took away from it is that there are alternative solutions and creating essentially a duopoly of the cellular market between AT&T/T-Mobile and Verizon wouldn’t exactly benefit the consumer. It’s difficult to predict if the government is going to approve this merger or not, there are a ton of pros and cons to this enter proposal, and sorting them out is going to take ages. We’re now down to the long road part where not much can be said publicly as the FCC goes over it with a fine tooth comb. All sides have had their say, and now it’s time for the government to make its call. What do you think? 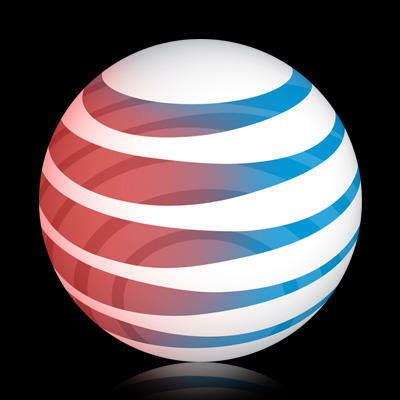 Are you in favor of the AT&T/T-Mobile merger? Why or why not?